I love travelling and every year, I go on holiday abroad. Being a student means the bank can sometimes be a bit tight, but I don't want that to stop me from exploring the world. When planned properly, budget travel not only provides the opportunity to save money but also allows you to fully experience the local culture and everything it has to offer. Budget travel, for many, is the only option when it comes to travelling internationally. Fortunately, with the number of people taking a gap year, or opting for non-traditional, remote jobs, destinations for budget travel span across the globe. Whether you’re interested in the beaches of Southeast Asia, the history of Europe or the mountainous villages of South America, there is a budget destination suited to your taste. Here are four places to inspire your wanderlust. Known for its backpacking culture, full moon parties, and flawless beaches, Thailand is the perfect budget travel country - particularly great for solo travellers or groups who haven’t travelled extensively before. While Thailand is brimming with culture and tradition, it’s also a major tourist destination filled with expats in most cities. As a result, it's a very comfortable spot for newer travellers. Accommodation can be booked throughout the country from as low as £5 - £45, depending on your preferences. 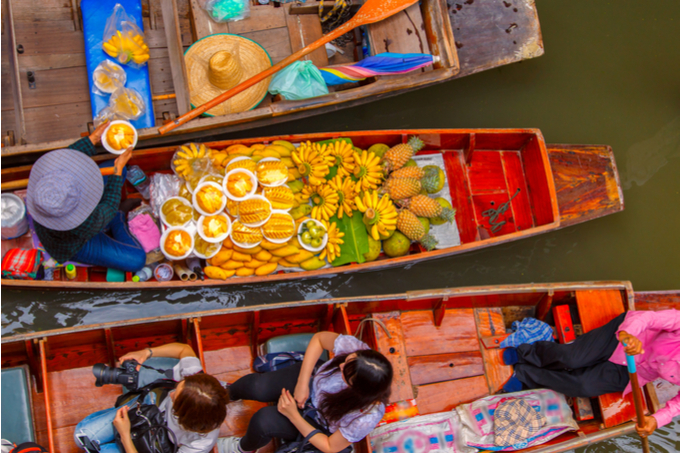 Chances are, you'll first land in Bangkok in Thailand, which is a budget traveler’s paradise. For the full backpacking experience, head to Khao San Road. Here, you’ll find vendors selling just about everything, along with a multitude of food options. For the best and most authentic food, try the street stalls where a full pad thai meal can be purchased for under £2. After Bangkok, consider heading to Chiang Mai in the North, popular for its inexpensive yoga retreats and cooking classes. Or, if you’re looking to relax in the mountains, head to Pai. Wherever you end up, be sure to check out the markets in each place and be prepared to barter for the best deal. While Europe doesn’t tend to be a budget destination for most, there are certain areas that can easily be done inexpensively. Portugal is one of those places. Lisbon, the capital of Portugal, is a great city filled with history, beautiful architecture, and plenty of budget options. Hostels range from £10 - £12 per night. There are also affordable guesthouses and Airbnbs in neighbourhoods like Alfama or Graca. Lisbon is an extremely walk-able city, but a daily transport pass will cost you about £5. Avoid taxis if possible as they tend to be the most expensive way to get around. Another thing to make note of when travelling in Portugal and other parts of Europe is that tapas will be delivered with every meal—it is not free! If you don’t plan on spending an extra couple of euros on each dish, politely ask the server to take them back. If you’re looking for a beach escape, head to Lagos where the party never ends. Travelers can easily find hostels for around £8. Or, if you’re looking for a slower pace, head to Porto in the north. 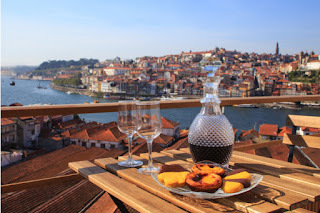 Here, you can sample all the Port (and other wines) you want for roughly £2 per glass. 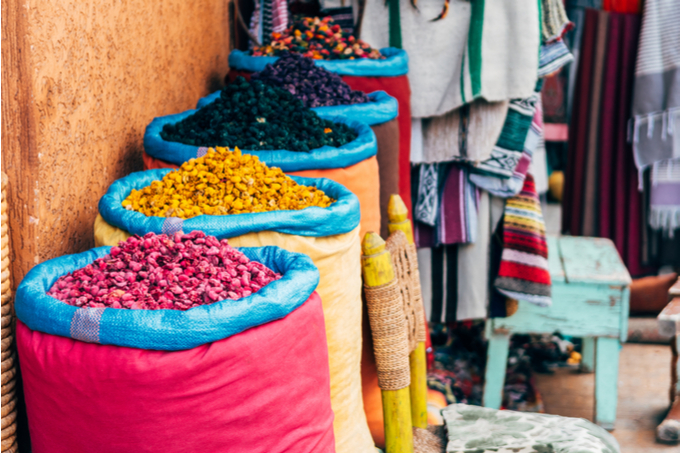 Full of Arabic culture, flavorful food, and markets galore, Morocco should be on everyone’s bucket list. Marrakesh is ideal for money-conscious travellers as it caters to tourists on every kind of budget. Hostels can be booked for as low as £4, while a private room will only set you back about £18. The markets in Marrakech and Morocco offer everything from spices to oils, leather products, lanterns, rugs, baskets, pottery, and traditional clothing. Be ready to barter with the vendors for the best price, while still remaining respectful of their handiwork. Take note that locals will often ask if they can help you with something (i.e. offer you directions or help carrying your luggage). In a perfect world they would be asking out of the goodness of their heart, but typically they will ask for money right after. The train is the best transportation option in Morocco. Opt for first class if possible, as the price difference usually isn’t that large. Taxi prices can be negotiated and driving should be avoided if possible because it can be quite dangerous. South America is often overlooked as a budget destination, primarily due to the cost to get there. Fortunately, once you land, it’s one of the least expensive places to travel in the world. For the most authentic Bolivian experience, consider staying in an Alojamiento, a family run hotel. Hostels can be booked for as low as £4 for a dorm bed or £15 for a private room. If you eat the local cuisine, full meals are around £3. If you opt for non-Bolivian food, expect to pay at least double. 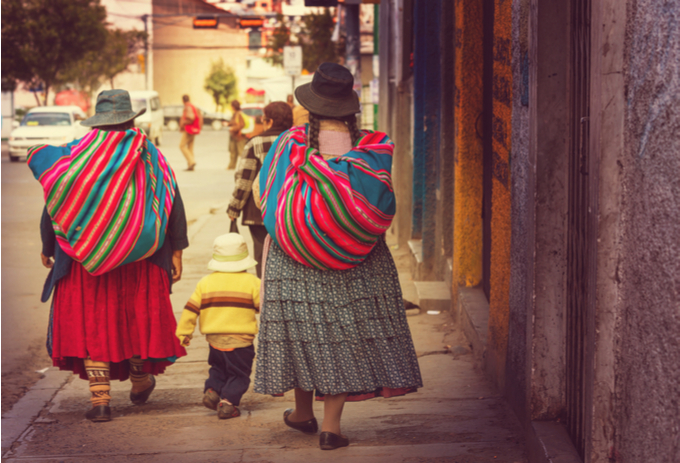 You can book a tour of La Paz, the capital of Bolivia, for roughly £6. Or, if you’re looking to get out of the city, you can take an organized tour to the famous Uyuni Salt Flats for around £22. If the cost of flights to your desired destination is the only thing holding you back, be sure to sign up for a flight alert website. Scott’s Cheap Flights will send you daily flight deals at ultra-low prices. Eat the local food. It not only tends to be much less expensive, but it also gives you a glimpse into the local culture. Use public transportation when possible. Local buses, trains, and subways are always cheaper than taxis and private shuttles.